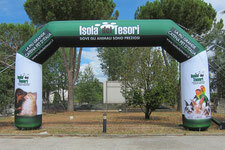 Gonfiabili Tes manufactures advertising inflatable, objects innovative and easy to handle, can be produced in any shape and size. 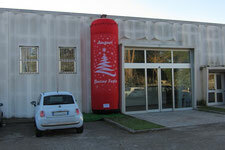 The materials used, the result of our extensive research, are all produced in Italy and meet the requirements of quality and safety of the facilities both indoors and outdoors.The production process is performed within our structure, it ensures reliability and price competitiveness. 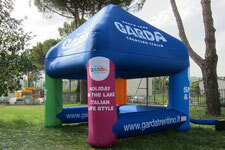 All inflatable advertising are equipped with a fan activated by an electric motor which forces the air inside maintaining its shape. 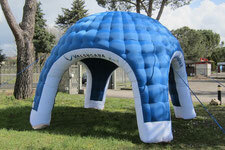 Very light and easy to install and manage, our inflatables are objects of great visual impact. 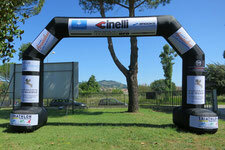 Born with the function of sports sponsorship, they can also be used in advertising. 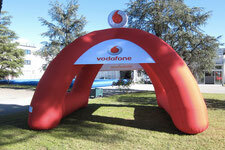 Evolution of the classic inflatable arch are primarily used in advertising . 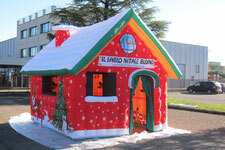 We can replicate in large inflatable format any type of object. 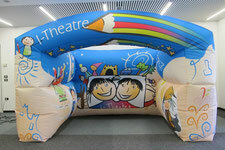 Ideal for trade shows and events, easy to transport and assembly. 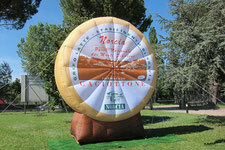 Great visual impact with a small footprint. 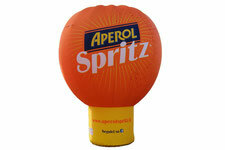 Made in all shapes and sizes are exceptional advertising items. 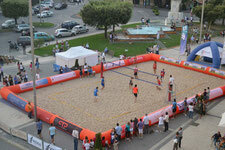 Their function is not limited to delimit the playing field, but are also used as advertising tool. 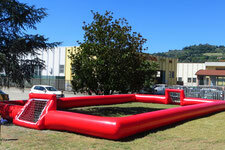 Ideal for tournaments and sporting events lend themselves to advertising.